Stepping before a microphone in a banquet room filled with business and community leaders dressed in suits, Lieutenant General Vincent R. Stewart declared his mission and challenge simply through his appearance. 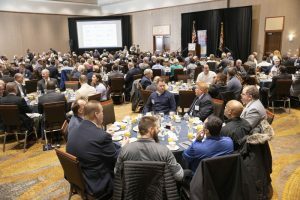 Speaking at the Fort Meade Alliance’s Key Leader Series event in January, Stewart described recent developments within America’s newest unified combatant command and the challenges it faces in trying to develop a new kind of fighting force to dominate an intangible and fluid battlefield. The military, he added, needs to get better at identifying the candidates best suited for cyber jobs and better at sustaining and advancing their cyber warfare careers over the course of decades. To retain highly skilled personnel, Cyber Command must also ensure its people have an impressive quality of life, including access to outstanding educational opportunities for their children, top-quality medical care, desirable communities, and first-rate fitness centers and other amenities on post. 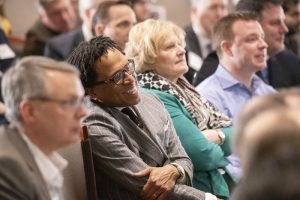 Industry can play additional roles in supporting the mission of U.S. Cyber Command. Still a new organization, Cyber Command has not yet fully staffed or stood up its acquisitions operations. And Cyber Command leaders are looking to diverge from traditional military or intelligence acquisition models. 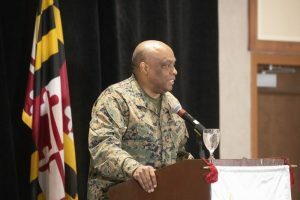 For example, the Command partnered with the Maryland Innovation and Security Institute to create DreamPort, a state-of-the-art technology facility designed to enable public-private interactions and drive the development of new cyber technologies. Cyber Command will also be seeking innovations on a faster pace. Cyber Command still needs to develop a fully integrated cyber tactical system that can deliver a single, comprehensive picture of cyber operations (and replace the current environment that segments information across multiple views). It needs to determine how to best organize cyber teams for combat, integrate those efforts into kinetic warfare and eventually expand the number of cyber combat teams. “We do not have enough forces to defend all of the things that are demanded of us right now,” Stewart said. In exercises, Cyber Command has run short of teams to protect infrastructure while also supporting combat by other U.S. forces.